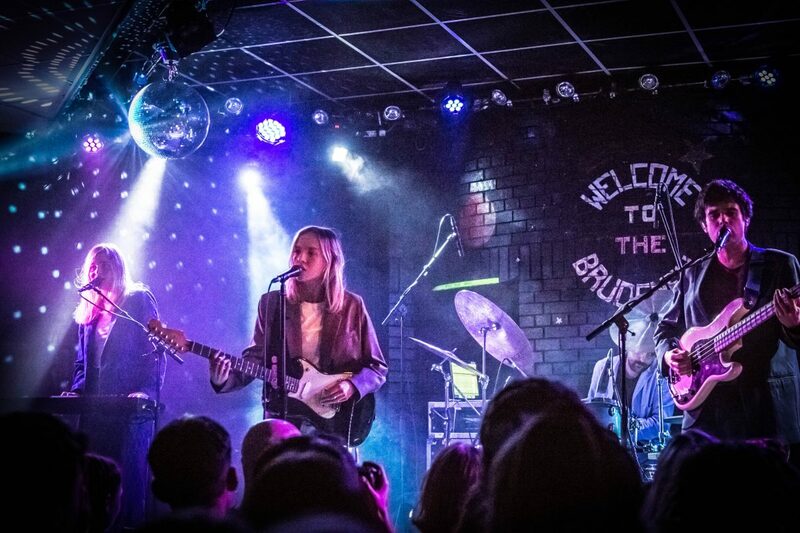 It’s been just over three years since Amber Bain first brought THE JAPANESE HOUSE to Leeds, playing to a packed-out Oporto. Now she’s back for her third visit to the city, less enigmatic, more confident and armed with a debut album’s worth of tunes to introduce us to. Walking out on to the stage bathed in blues and lilacs, Bain and her band are wearing casual suits and Converse – clearly they mean business. And that business is to introduce us to new tunes from her debut album, Good At Falling, out next spring. Opening with the effortless swirl of Face Like Thunder, we’re also introduced to a new Amber Bain, more comfortable on stage with a bold and commanding stage presence, as she bounces behind her mic with glee. Her band give new life – and a more human touch – to her richly layered vocals and drummer Fred controls the ambient blips and bloops that give The Japanese House tunes that texture and depth from behind his kit. The older songs – Cool Blue, Still and Clean – are more full-bodied tonight, edging more towards a grungy sound than the polished recordings of her early EPs, serving as a bridge to the newer, more urgent-sounding music. Lilo and You Seemed So Happy maintain the melancholy lyrically, but they’re delivered with such vigour, they become almost rock sing-alongs, as Bain puts her guitar to work and the crowd eagerly soak up this refreshing vitality. 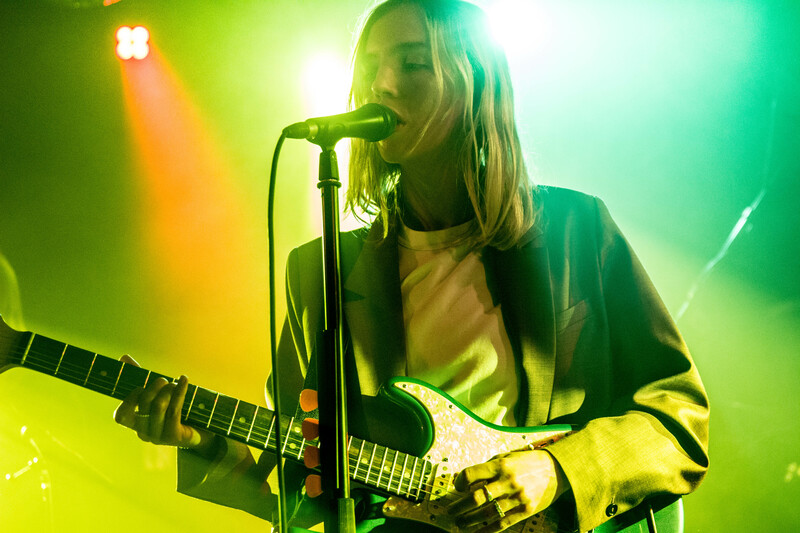 While previous Japanese House shows focused on the music and intricate arrangements, tonight it’s more about the performance, the new band allow Bain to step away from her peddle board more, as she dips and sways around the stage, giving approving nods to the crowd bouncing about in front of her. 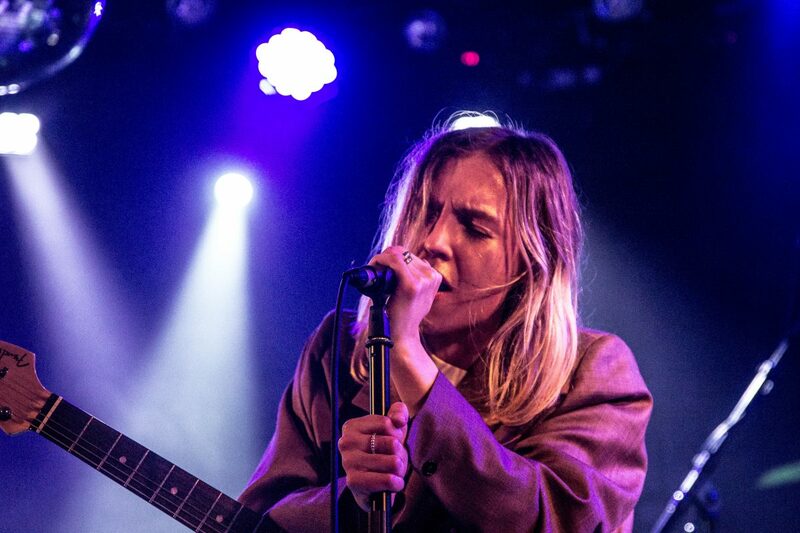 Bringing the set to a close with the tender Leon and Clean – which drew the night’s biggest sing along – The Japanese House refrained from returning to the stage for an encore, choosing instead to leave fans wanting more as the house lights confirmed the end of the show.